Simon & Schuster, 9780684838694, 240pp. For centuries death has drawn our attention. Some fear the imagined darkness while others consider it a peaceful reunion with family and friends; still others view death as nothing more than a transition. Despite our curiosity and the vast literature on death and dying, no one has truly examined from a cross-cultural standpoint what happens to us after we die. 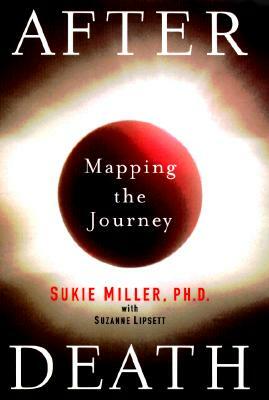 Using extensive and innovative research, anecdotes, and stories, Sukie Miller has woven together the results of groundbreaking studies of attitudes worldwide toward the afterdeath. Identifying four distinct stages of the afterdeath, Waiting, Judgment, Possibilities, and Return, she clarifies and analyzes the results of her work in India, Brazil, Indonesia, West Africa, and the United States. In 1969 Dr. Elisabeth Kubler-Ross asked, "What happens to us "as we die?" In 1975 Dr. Raymond Moody sought to discover what happens to us "when we die, and in 1994 Dr. Sherwin B. Nuland introduced us to the physical realities of death itself. In this novel look at cross-cultural afterdeath systems, Dr. Sukie Miller now reports and reflects on what happens to us "after we die.